Take home a free Very Alice Tea Party gift set | FreebieFinder UK | Freebies, Samples, & Other Free Stuff. Enter this competition on the Northern Life Magazine to win a curious collection of tea party treasures for your very own Wonderland party from Whittard of Chelsea. 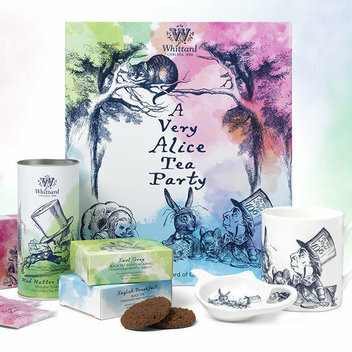 Win this prize, and you’ll get to sip your delicate tea from a beautiful Alice in Wonderland mug featuring the original illustrations, all whilst nibbling on the truly scrumptious Mad Hatter all butter chocolate chip biscuits. Get this whimsical tea party gift set by entering this competition on the Northern Life Magazine website.